Tissue homeostasis and regeneration require a precise balance between quiescence and activation of adult stem cells. The main interest of our lab is to understand the molecular and cellular mechanisms that regulate this balance. We use skin as a model system to study the behaviors of adult stem cells and dissect the underlying mechanisms regulating stem cell function. The skin is the largest organ in the body. It is composed of two major compartments: an outer epithelial compartment (epidermis) and an inner mesenchymal compartment (dermis). Epithelial skin is made of epidermis and its appendages: hair follicles and sebaceous glands. Mesenchymal skin is largely made by fibroblast cells dispersed within extracellular matrix. The epidermis is in dynamic equilibrium and is constantly renewed throughout life. Skin epithelial stem cells that can self-renew and differentiate provide the unlimited source of cells required for long-term tissue morphogenesis, homeostasis, and injury repair. Skin epithelial stem cells encompass epidermal stem cells, which are localized in interfollicular epidermal basal layer, and hair follicle stem cells, which reside in a region of the hair follicle outer root sheath (ORS) known as the bulge. Hair follicle morphogenesis is particularly interesting in that it involves a temporal series of epithelial-mesenchymal interactions. 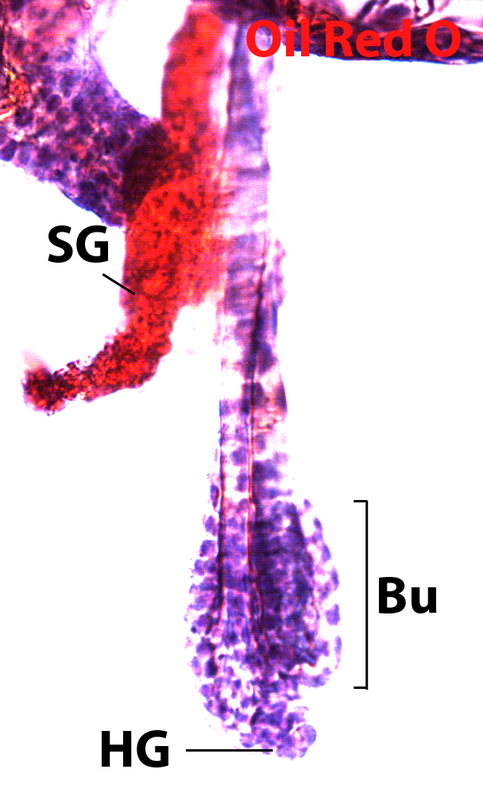 The embryonic epidermis begins as a single layer epithelium, and when mesenchyme populates the skin, the developing dermis first transmits signals to the epidermis to make an appendage; in response, the epidermis sends a signal to dermal cells to condense and form the dermal papilla (DP) which will become a permanent and essential component of each hair follicle. Another signal is then released from DP to promote hair follicle proliferation and differentiation. Half way through the maturation of the developing hair follicle, a group of infrequently cycling cells appears in the upper portion of the hair follicle, just below the site where the sebaceous gland will emerge. These slow cycling cells residing in the bulge region are called hair follicle stem cells (HFSCs). During the normal regenerative hair growth phase, HFSCs either stay in bulge region or give rise to progeny that exit along the ORS. The ORS cells then give rise to rapidly proliferating, transiently amplifying cells (TACs) called matrix cells. 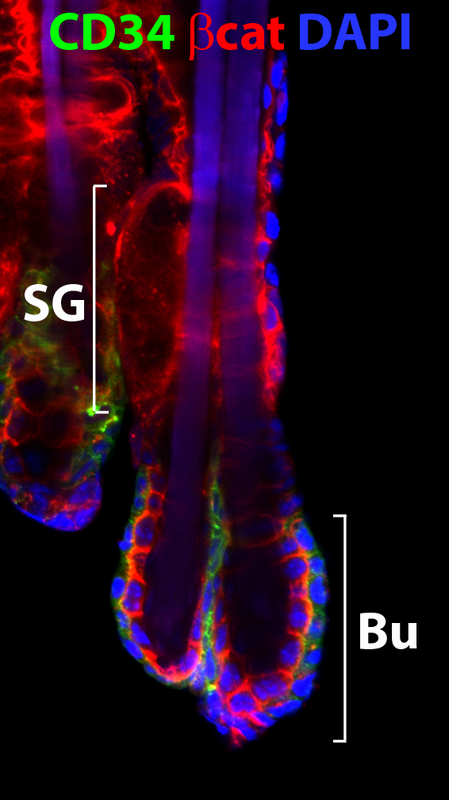 Throughout the growth phase of the adult hair cycle, the DP resides at the very base of the follicle, where it acts as a signaling center for the crosstalk with the surrounding matrix cells to stimulate them to proliferate and progress to differentiate to make the hair and its channel, or inner root sheath (IRS). 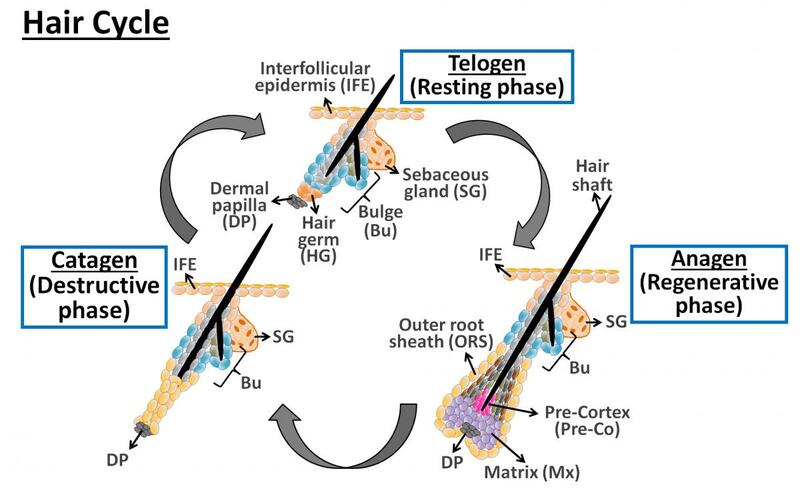 Hair follicle stem cells at the bulge region are maintained in a quiescent state during the resting phase of hair cycle. During hair growth, they then get activated and replace the cells in the lower hair follicle. In addition, these stem cells can move upward and differentiate into the epidermis and sebaceous gland and repair at least transiently the injured epithelium during wound healing. What keeps stem cells in their bulge niche during times of quiescence and what prompts them or their immediate progeny to regenerate the follicle during hair growth or repair the epidermis upon wounding? 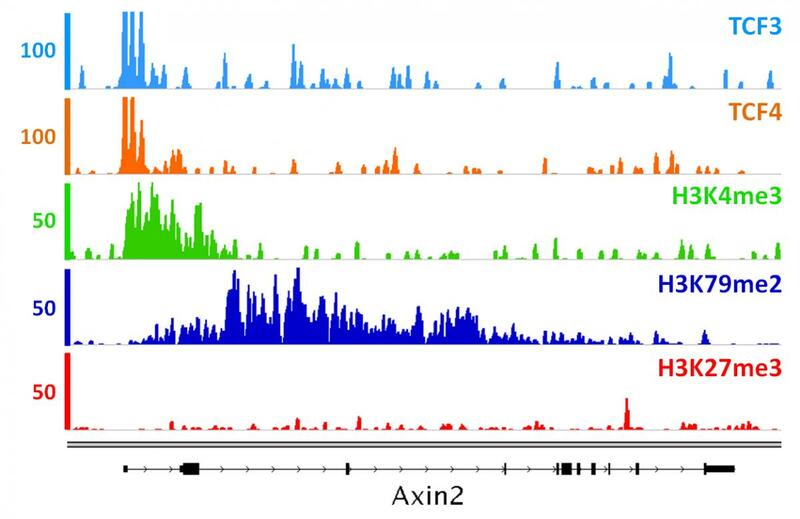 Transcriptional profiling of purified hair follicle stem cells in the adult bulge has provided a molecular signature which offers some insights into the possible mechanisms. Coupled with gene profiling, subsequent functional studies reveal several signaling pathways important for maintaining the stem cells in either a quiescent or activated state. 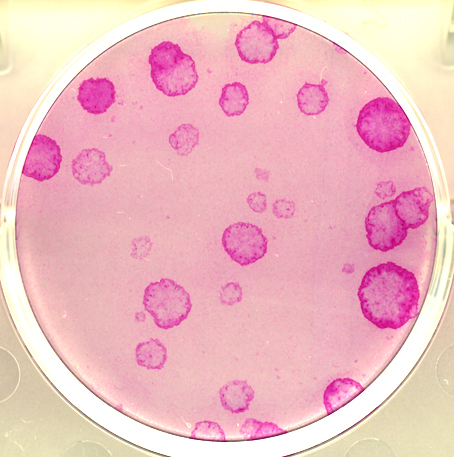 Studying the mechanisms of how stem cells are regulated is important for regenerative medicine and also for treatment of pathological conditions such as cancer. In our lab, we use mouse as a model organism to address this important biological question. 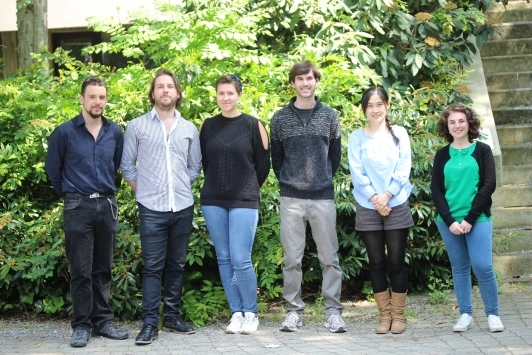 The main interest of our lab is to understand how one signaling pathway integrates to another and how their downstream regulators cross-talk to each other in stem cells and/or with neighboring cells in molecular and cellular levels. Our studies will help us better understand how stem cells function in the defined adult organs, and how to use stem cells to treat diseases and cancer.